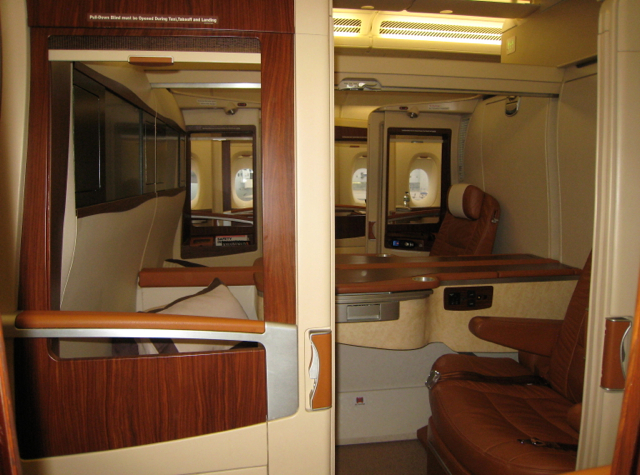 Singapore Suites on the A380 is one of my wife's favorite awards to book for clients for her Award Booking Service so I was excited that she booked me in it for my return flight from Europe. 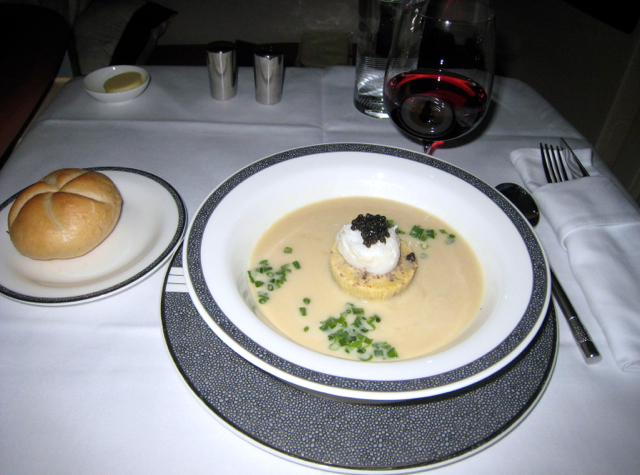 With one small exception, I can’t imagine a more luxurious flight experience than my recent flight from Frankfurt to New York on Singapore Suites. 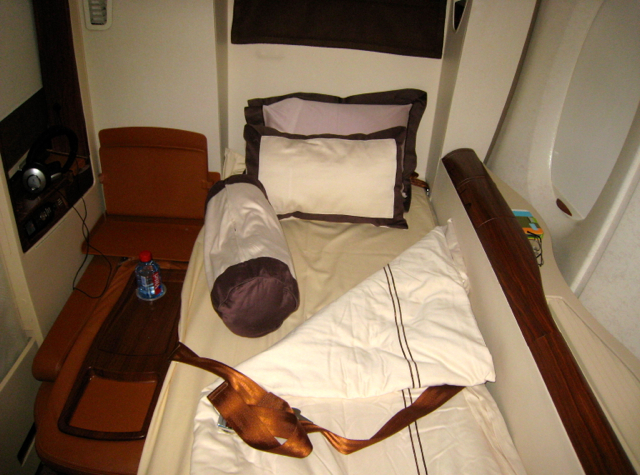 In this post I will describe the flight and why Singapore Suites should be considered the pre-eminent luxury carrier. 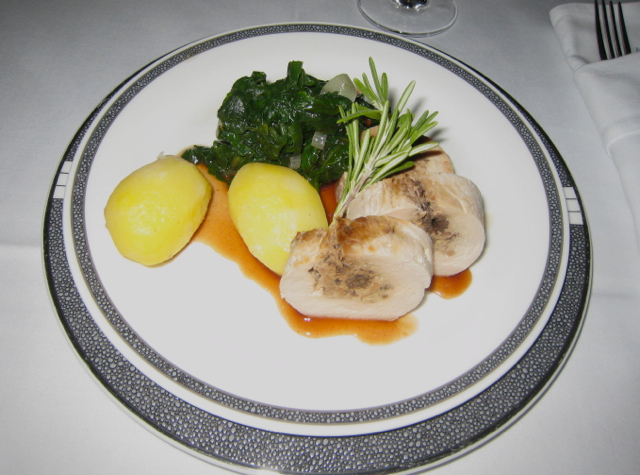 My experience started in the Lufthansa Senator Lounge, which Singapore Suites and Star Alliance Gold passengers can access. The Senator Lounge was spacious and very elegant. 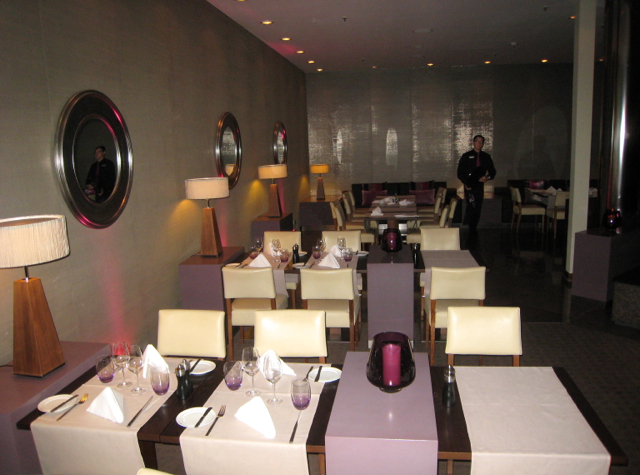 The food was fresh and there was a wide variety of appetizing dishes. I wanted to take many photos, but as soon as I got out my camera I was reprimanded and told that no photos of the lounge were allowed. But first, let me offer one small detail that immediately struck me upon boarding the plane. 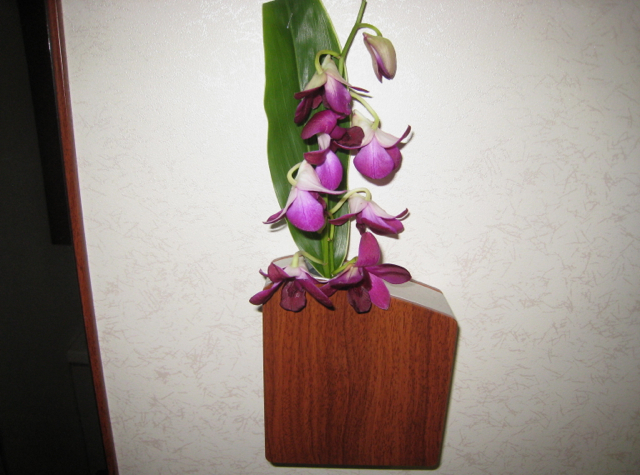 As I entered, each of four flight members servicing the Suites area warmly greeted me by name. I am not sure how they knew my name prior to seeing my boarding pass, but this level of exceptional service continued throughout the flight. 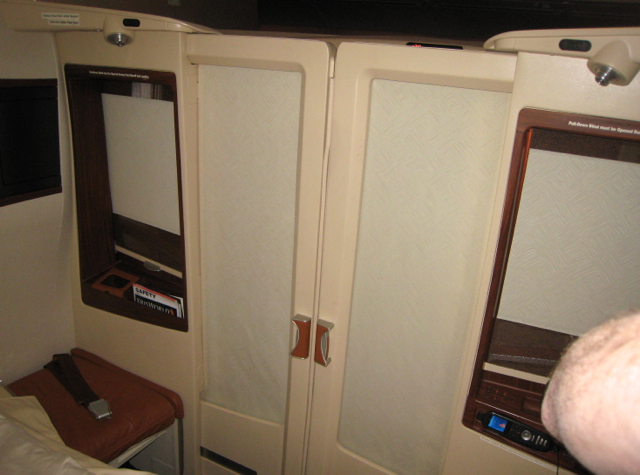 In terms of the cabin, there were no passengers in the middle compartments (so no couples to take advantage of the famous double bed), and the other passengers in the window compartments appeared to be businessmen flying alone, so I hardly noticed them at all during the entire flight. Personally, I was happy to have the 3 windows, but I can understand it would be nice as a couple or even a parent flying with a child to have those adjoining suites, 2C and 2D or 3C and 3D. 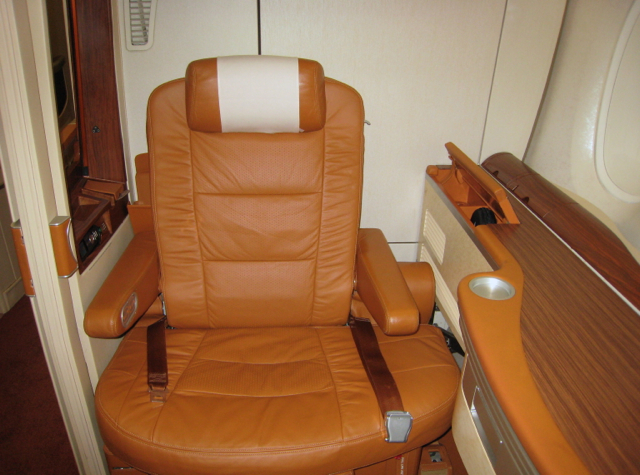 The seat itself was the most comfortable I have ever experienced. Often for comfort reasons I am eager to flatten out the seat into the bed; but here, I think I sat through my first of several in-flight films before feeling even the slightest bit squirmy. When I was offered a pre-departure drink, I asked for water so I didn't get to experience the famous Singapore flight attendant smirk in offering Dom Perignon or Krug (I'm not a champagne drinker). I did accept the Givenchy pajamas, which thankfully came in XL. Even though I didn't have occasion to use them on the flight, they've become part of my rotating collection of airline pajamas. 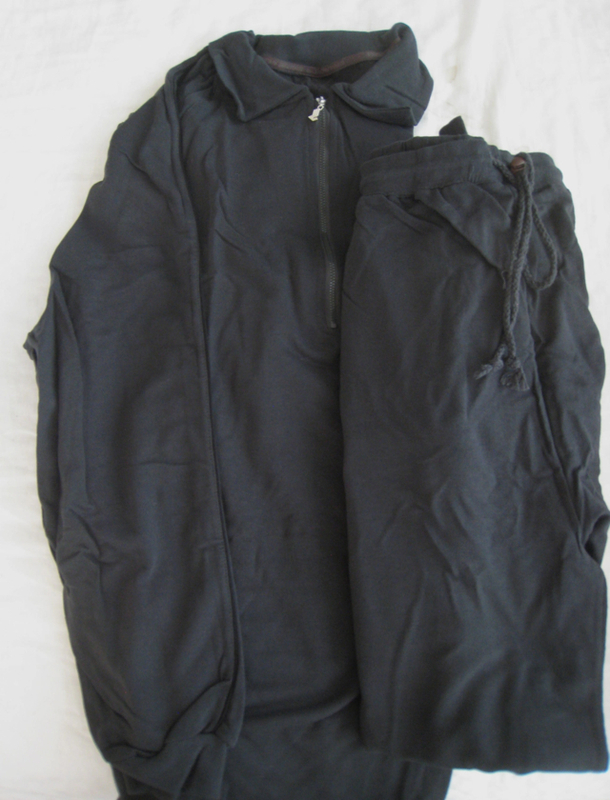 They're thick black cotton with a touch of lycra and quite comfortable, although they're a bit short in the legs (I'm 6'5). 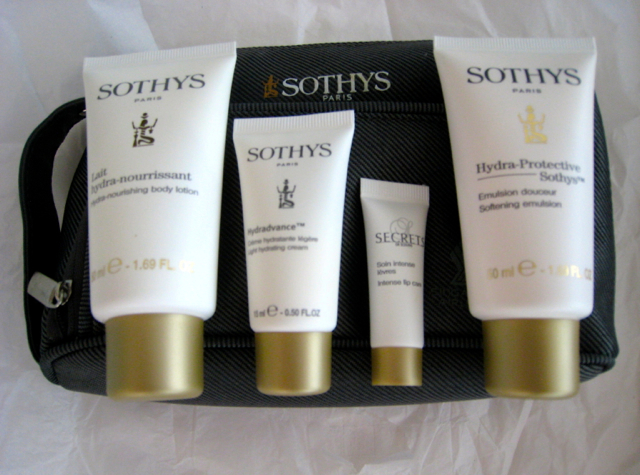 The amenity kit is by Sothy's of Paris, which I didn't use but brought back with me. 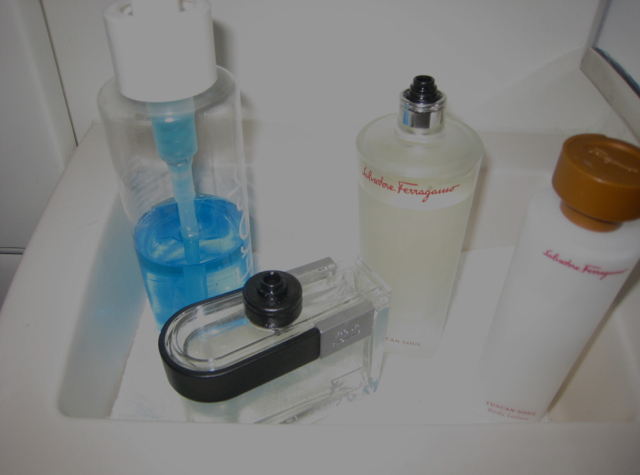 My wife Hilary says she prefers the Kiehl's amenity kit she received when she flew Singapore First Class from Moscow to Houston, so at least in her view, Sothy's is a bit of a step down as far as the amenity kit goes. The Singapore Suite bathroom is a bit more spacious than a standard bathroom, more akin to the changing room we had in Etihad First Class. 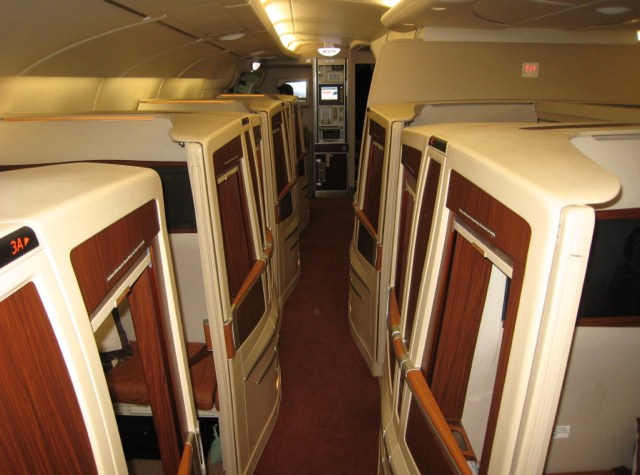 Most importantly, it was very nice and spacious. 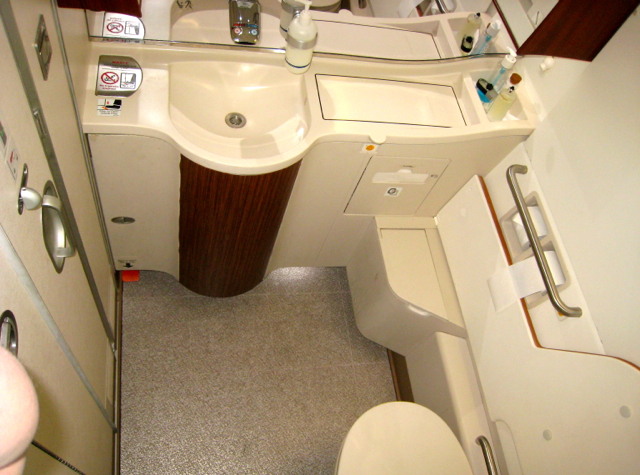 The flight crew kept the bathroom spotless, clean and dry throughout the entire flight. 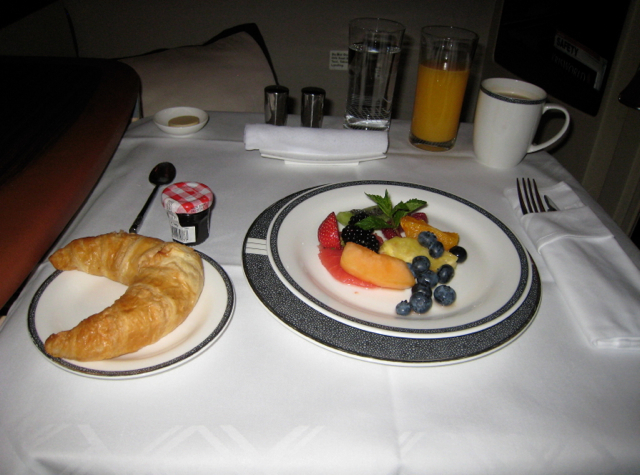 I declined the offer of nuts to start with, and began with a fruit plate and croissant, which was warm, fresh and buttery – perfect, after having spent a week in France. 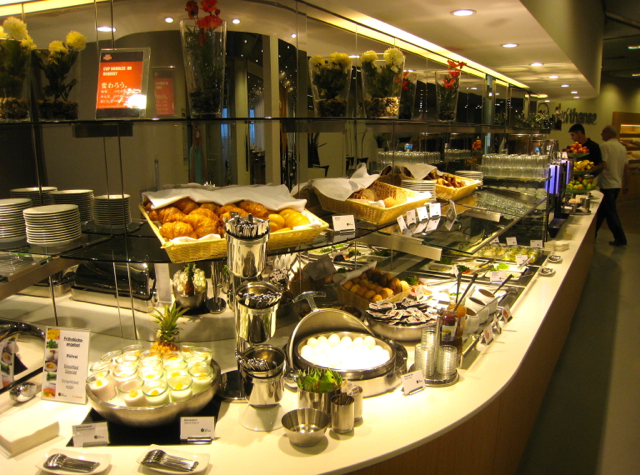 I was quite hungry, so I enjoyed both a bowl of yogurt and of Birchermuesli (which I came to love during our stay at the Park Hyatt Maldives, where I always ordered it as part of my breakfast). 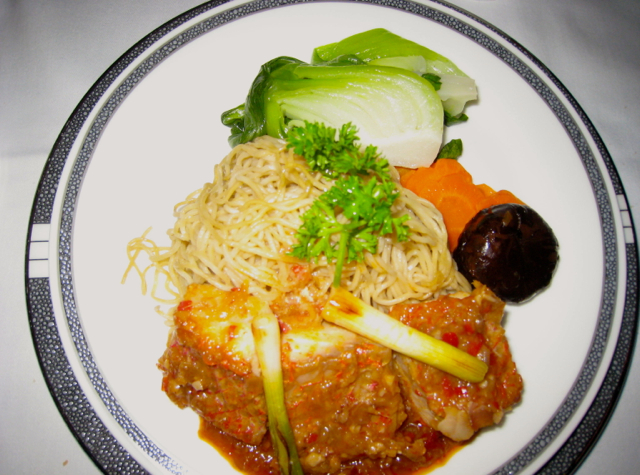 The fish, Braised Snapper in Oriental XO Sauce, was spicy and delicious. 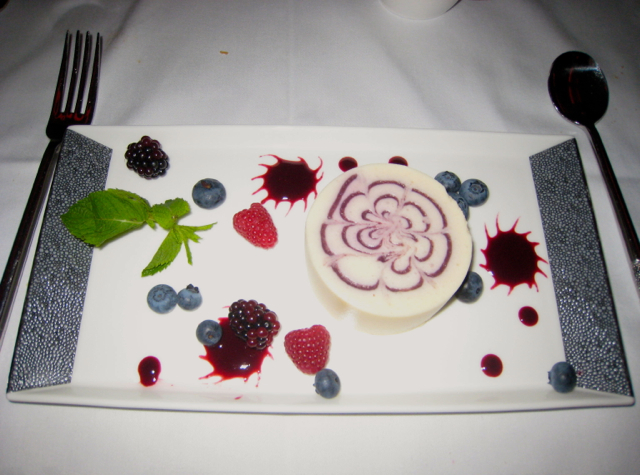 The dessert, Champagne Bavarois with Blackberry Coulis, was very light and subtle. I love catching up on films during long-haul flights, and so watched three films on this flight. There was an extensive selection of new films from Hollywood and around the world. I was in the mood for cheap popcorn entertainment (as I often am), so I watched the newest Star Trek and Iron Man films. Because I closed the doors to my suite and wore the superb Boise noise-cancelling headphones, I felt like I was watching the films in a very comfortable home theatre system. Wonderful. I was very pleased that the flight attendant, as usual, was immediately available the moment I began to think about asking to have my seat turned down into a bed. 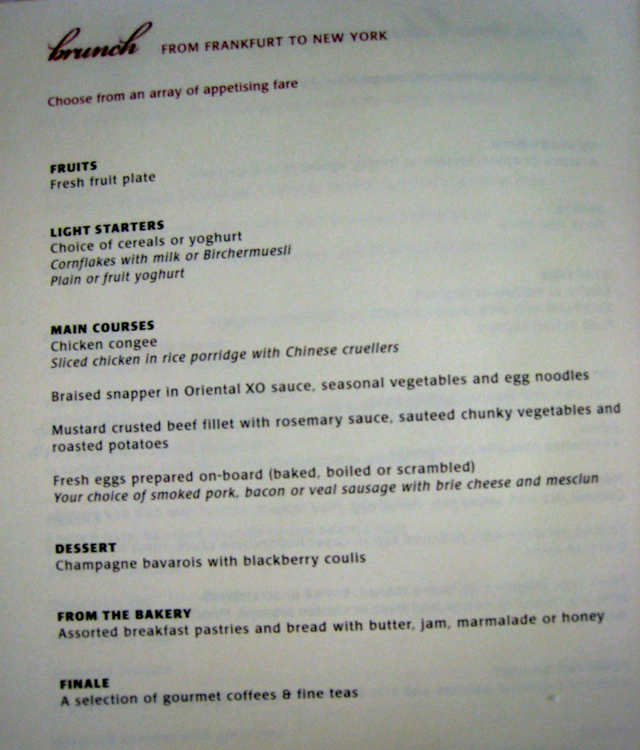 I think that the attendants must be mind-readers. 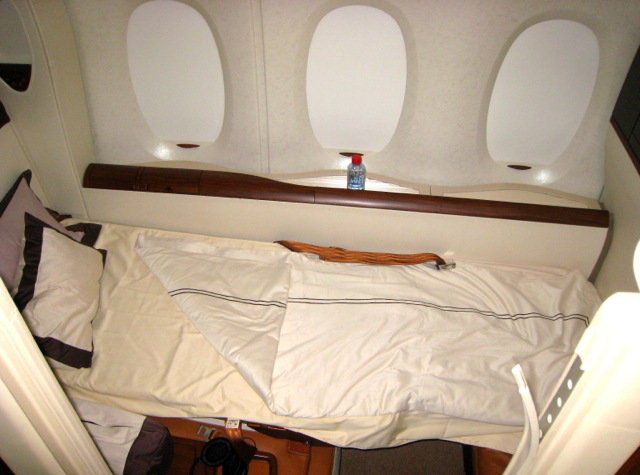 The bed was the most comfortable of any airlines I had ever flown, as were the linens. It was the next best thing to sleeping at home. 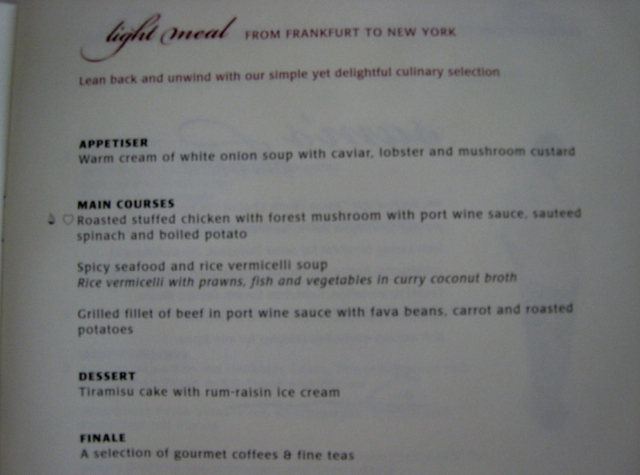 Here is my one complaint: the light meal, which was served the chicken dish was pretty bad, rubbery and just tasted off. I only could eat about half of it. And the soup was not much better. I have no idea why the first meal was top-notch but the second meal truly sub-par, but it was the only defect of this otherwise blissful experience. 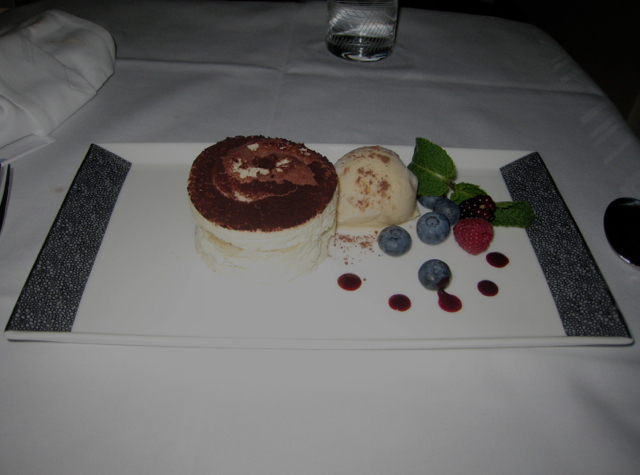 The tiramisu dessert was fine, although I enjoyed the brunch champagne bavarois dessert more. Before landing we were offered mints. 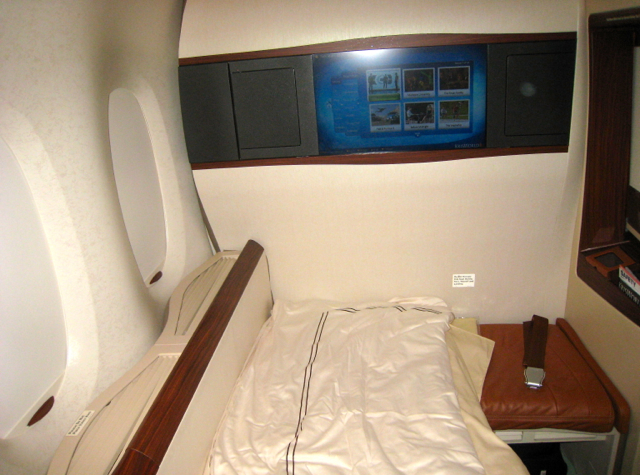 The Verdict: Because of the privacy of the cabin, the comfort of the bed, and the quality of the entertainment, at times I forgot that I was even on a plane and simply enjoyed the immensely relaxing and luxurious experience. 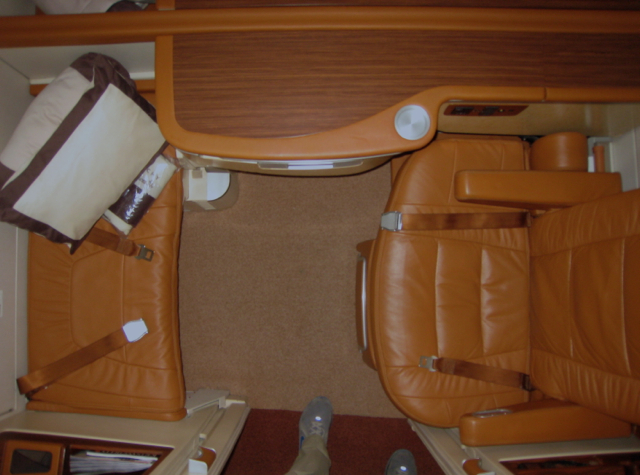 Since I normally am acutely aware of being on a plane, even when flying first and business class, this was a new experience for me, and Singapore Suites would be my top choice when flying again if available to my destination.